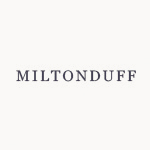 Miltonduff Distillery was founded in 1824, and was once a giant institution, with as many as 50 stills throughout the 19th Century. Named after the Duff family, who owned the land that the Milton distillery sat on, it was acquired by George Ballantine and Son in 1935 . To this day, Miltonduff has a few independent bottlings but is mainly used as a large component of the Ballantineâ€™s blended whisky. Now owned by Chivas Brothers, there are three pairs of stills that produce 5.5 million litres of spirit annually.